The Calcasieu Parish Sheriff’s Office is participating in the national crackdown on drunk driving with grant funding from the Louisiana Highway Safety Commission. 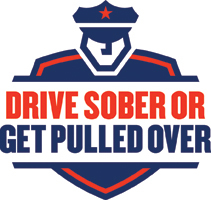 The campaign, that started August 17 and ends September 3, ‘Drive Sober or Get Pulled Over,’ is a partnership with the National Highway Traffic Safety Administration (NHTSA) to curb impaired driving and save lives. “Research shows an average of 1 alcohol-impaired-driving fatality every 50 minutes. According to the NHTSA In 2016 there were 10,497 people killed in alcohol-impaired driving crashes; which accounted for 28% of all motor vehicle traffic fatalities in the United States. By joining this nationwide effort, we will make Calcasieu Parish roadways safer for everyone,” said Calcasieu Sheriff Tony Mancuso.